Our Board retreat is a great time for the Saskatoon and Regina directors to meet face to face and discuss the issues, ideas and plans for the upcoming year. It is always hard to give up a day from our precious weekends, but our volunteer directors packed into their vehicles and traveled to Davidson to meet at a convenient half-way-point. We welcomed our newest board members, Kim Jasken and John Stevenson, as well as reconnected with our long term board members. 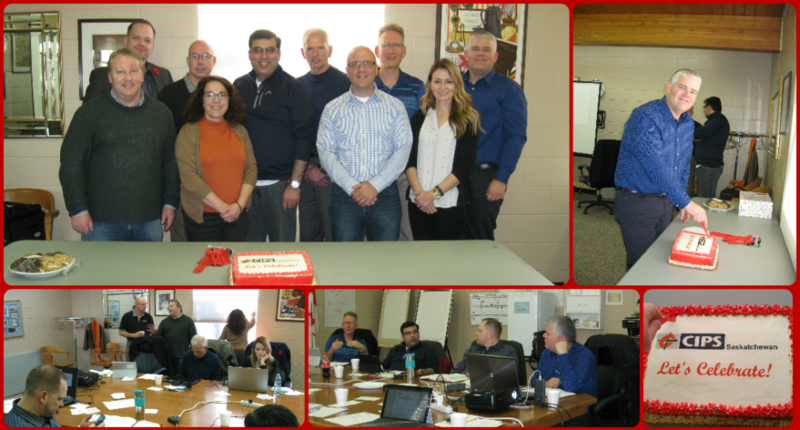 This year we took some time to celebrate some of the success our board has achieved such as launching our new website, getting our student initiatives underway and completing the plan for a CIPS Saskatchewan mentorship pilot. After our cake and coffee break we received mentor training from Doug Lawrence our public appointed board member who is also a professional mentor, an excellent fit for our team. We are all excited to be able to offer our members access to a formal mentor pilot program with training and mentor/mentee matching. Stay tuned for more information on this and other exciting programs coming soon! Interested in learning how you can join our board or volunteer on a committee? Contact us to learn more.